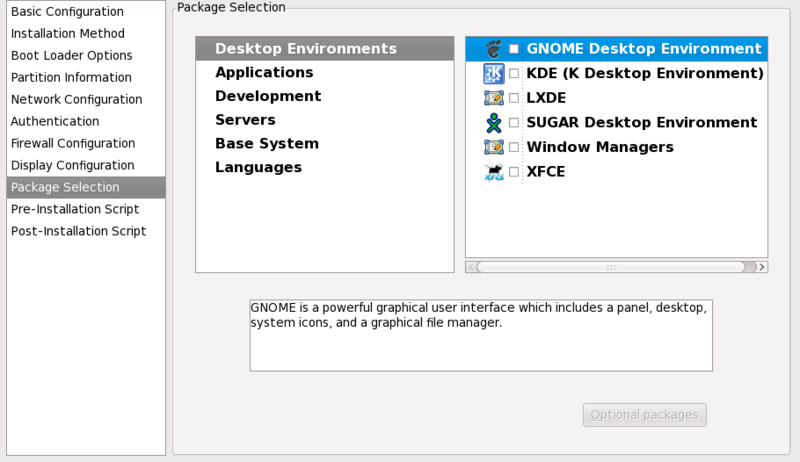 The Package Selection window allows you to choose which package groups to install. Package resolution is carried out automatically. Currently, Kickstart Configurator does not allow you to select individual packages. To install individual packages, modify the %packages section of the kickstart file after you save it. Refer to Section 32.5, “Package Selection” for details.